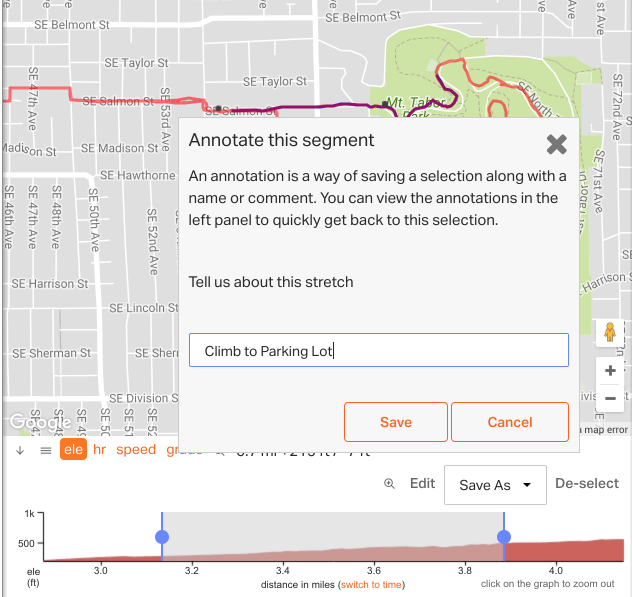 Annotations are a great way to mark up routes and rides to indicate information about road conditions, scenery, and set expectations for riders. You can edit or remove these annotations at any time. You must be viewing the route to create an annotation. This option will not appear if you are editing the route. 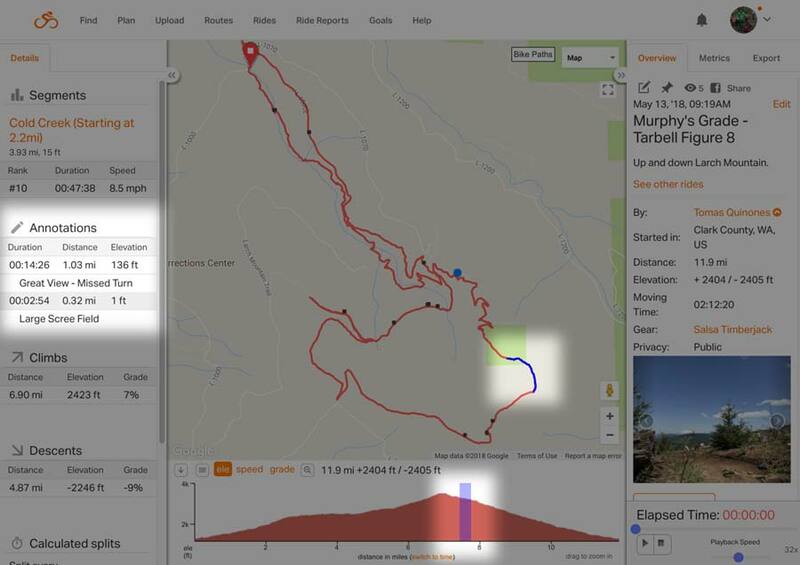 Click and drag across the elevation profile to select a section. This will zoom-in to your selection. Refine the selection by dragging the handles on the opposite ends of the selection box. Click on the SAVE AS button above the selection. 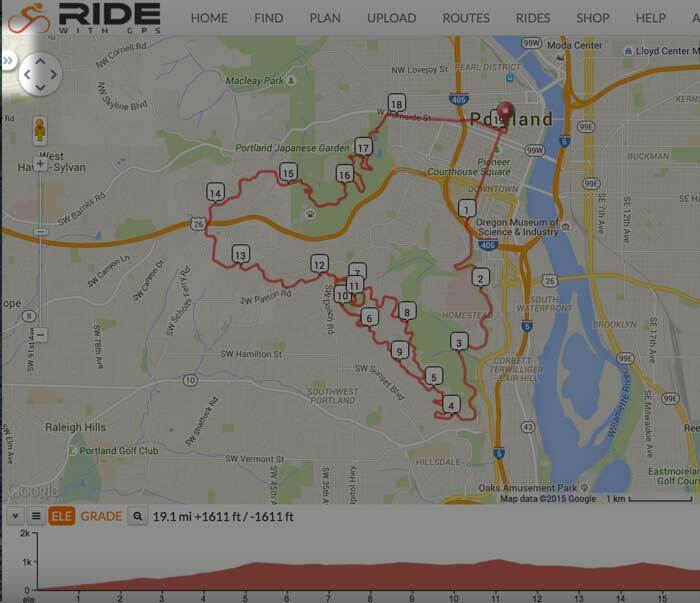 Type a description about the selection like “Gravel Section, ride carefully” or “Long climb section but great views”. You will find the Annotation under the left DETAILS tab. 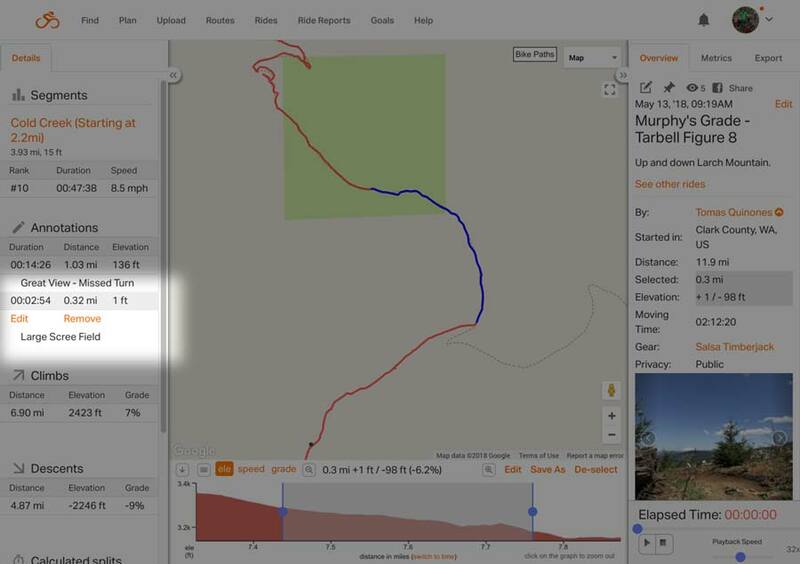 Clicking the annotation name will select it in the elevation profile and show it on the map. Click the time of the Annotation to show the Edit or Remove options. If you don’t see the left side panel, click the (>>) button in the upper left corner.